For Maggie Mayfield, turning eleven means she's one year closer to college. One year closer to voting. And one year closer to getting a tattoo. 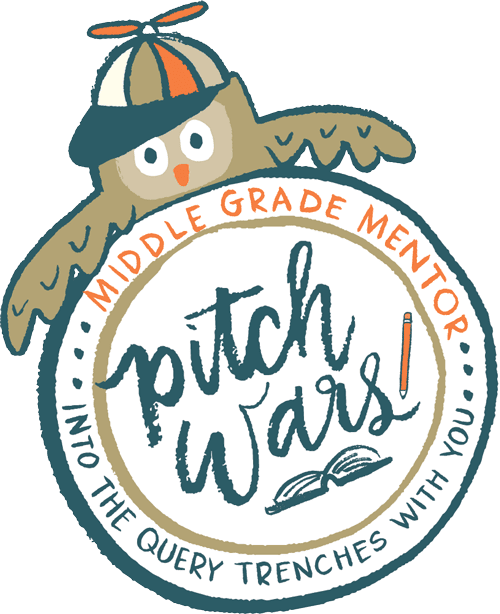 * It's time for her to pull up her bootstraps (the family motto) and think about more than after school snacks and why her older sisters are too hot for their own good. Because something mysterious is going on with her cool dude dad, whose legs have permanently fallen asleep, and Maggie is going to find out exactly what the problem is and fix it. After all, nothing's impossible when you're future president of the United States of America, fifth grade science fair champion, and a shareholder in Coca-Cola. Right? *Not that she wants to get a tattoo. They're terrifying. But it's nice to know she's closer to getting one anyway. I'm going to say it now (if you haven't figured it out already): The Meaning of Maggie is pure brilliance. So good, in fact, that I finished it, in its entirety, IN ONE DAY. It would have been in one afternoon, but as I approached the end, I knew there was a 110% chance that I was going to ugly cry, so I had to wait to finish it until after the kids were in bed. The book opens with Maggie listening to the incessant beeping of a heart monitor from the atrociously uncomfortable confines of a hospital room chair. Why am I giving away the opener? Because this is what made me love this book so, SO much. I could immediately relate, having spent the majority of my eighth year in and out of hospital rooms while both my grandparents--my much beloved, one and only set of grandparents--battled cancer. As the story progressed, the connection only increased. 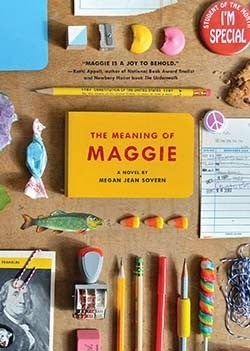 Maggie's struggles were my own: trying to deal with normal life--and even have fun--in the midst of something BIG, the emotional ups and downs of being a kid surrounded by such grown-up happenings, the desire to know exactly what was going on, and the sick, sinking-stomach feeling that knowledge brought. In Maggie's mother I saw my own mom, working past the edge of exhaustion to take care of her parents while trying to shield me from all the stuff I saw anyway (because, like Maggie, I had a knack for observing and understanding things I wasn't supposed to). It felt like Maggie and I were soul sisters, despite the age difference. Though, technically speaking, she'd be my older soul sister, since I was only three in 1988. Now lest you think it all sounds just a bit too melancholy, let me assure you, Megan Jean Sovern has created the perfect literary storm. While Maggie's story is full of emotional punch, her spunky personality and razor sharp wit bring constant humor to every page (I'm always a little jealous when eleven-year-olds are funnier than I am). Every character is fantastic, but Maggie quickly became one of my most favorite MCs ever. She navigates the waters of the unknown, annoying older sisters, and young love with the poise and optimism befitting a future president, with the perfect dash of endearing, giggle-inducing exuberance. The story is told in first person (my favorite!) so you get the full impact of Maggie's genius. And the usage of footnotes and emphatic ALL CAPS moments are the cherry on top of the proverbial word sundae (a passion for sweets is another trait Maggie and I share). In conclusion, this debut novel has it all and delivers it in a most unputdownable fashion. Intelligent, charming, and poignant, it's the perfect summer read that will both tickle your funny bone and tug at your heartstrings. PS: A portion of the proceeds of this book will be donated to the National MS Society. It's a win-win. PPS: This book also has one of the best book trailers ever.